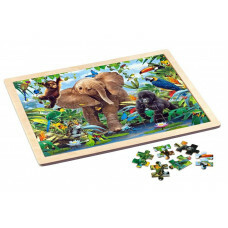 Puzzles and building puzzles usually consist of wooden pieces that must be correctly combined to give a picture or shape. 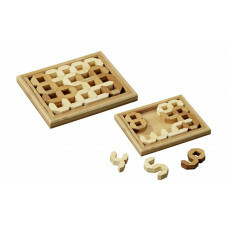 Puzzles are usually used for entertainment, but they can also be used for mathematical or logical problems. 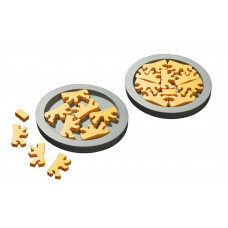 The first famous puzzle was produced in 1767 by John Spilsbury, a British map editor from London. He put a map on a wooden tray and then saw each country separately. 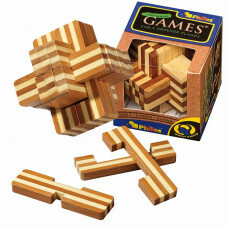 The fabrication was then used as an aid when children would learn geography. Frame of plywood dyed black, size 150x150x14 mm, AN 3523 / The tangram is colored plywood, diameter 128 mm, 10 parts. 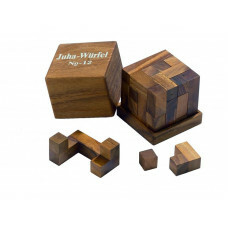 5 game pieces and 1 card holder made of b..
7 puzzle pcs of samena-wood, size 90 mm, AN 6244 / The Finnish puzzle collector Juha Levonen developed his cube series "JUHA" in 1990's. 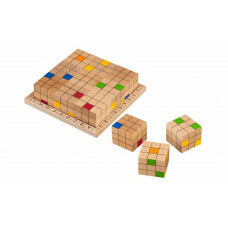 All of his cubes are o..
18 puzzle pcs of bamboo, size 78 mm, AN 6061 / Only with great skill and careful consideration you will succeed in this puzzle to disassemble it and to reassem..
10 puzzle pcs in bamboo, AN 3546 / The numbers 0 - 9 must be placed in the predetermined frame format. All numbers must lay flat on the field and may not be wh..
10 puzzle pcs in MDF, AN 3548 / This puzzle consists of 9 bears and a pillow. 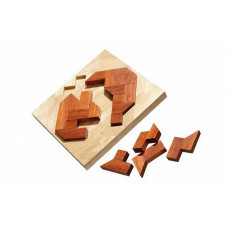 You have to place the bears and pillow in the frame without overlapping or restin..
16 puzzle pcs in wood, AN 6169 / The aim is to place the 16 pieces of the same shape with 7 different patterns in a predetermined target design in the frame. M.. 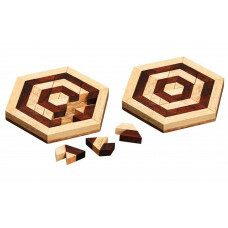 Wooden puzzle in wooden frame, AN 3542 / This puzzle game consists of a frame and 9 different pieces which have to be set as a network into the frame. 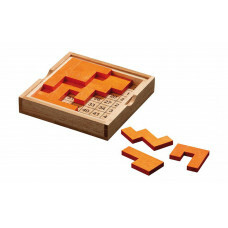 Made of ..
12 puzzle pcs of wood, AN 6177 / In this puzzle the 12 different pieces have to be laid inside the frame in such a way that they fill the whole surface. 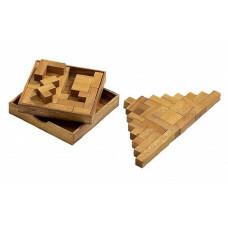 All th..
16 puzzle pcs of wood, AN 3549 / The aim is to lay all 16 pieces into the box the way that only one number remains open on the number grid. 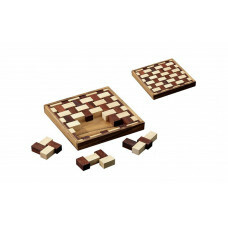 There are 49 differ..
9 puzzle pieces in beech, AN 3512 / The nine dice need to be put inside the frame so that no more than a coloured square is visible on each horizontal, vertica..
13 puzzle pieces in wood, AN 6215 / This ancient puzzle originates in China. 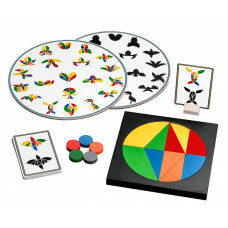 The Game of Life consists of thirteen different pieces which are based on five sub..
Jigsaw Puzzle in wooden frame, AN 9000 / Frame made of poplar, 48 puzzle pieces made of basswood, size 400 x 300 x 7 mm. 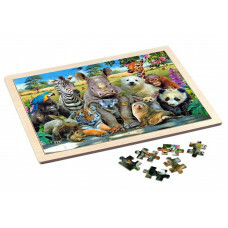 ..
Jigsaw Puzzle in wooden frame, AN 9001 / Frame made of poplar, 48 puzzle pieces made of basswood, size 400 x 300 x 7 mm. Pet selfie theme. 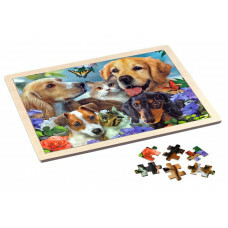 ..
Jigsaw Puzzle in wooden frame, AN 9002 / Frame made of poplar, 48 puzzle pieces made of basswood, size 400 x 300 x 7 mm. Junior Jungle theme. 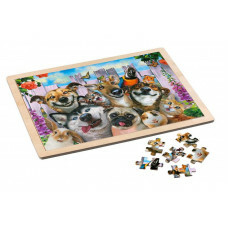 ..
Jigsaw Puzzle in wooden frame, AN 9003 / Frame made of poplar, 48 puzzle pieces made of basswood, size 400 x 300 x 7 mm. 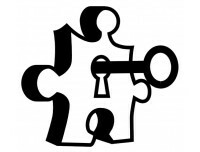 Togetherness theme. 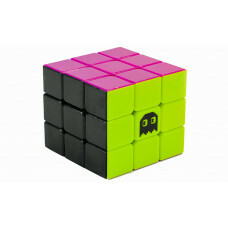 ..
Speedcube Stickerless 3x3 in 6 colors, TPUZ-101 / This is a puzzle cube perfect for beginners and experts alike. 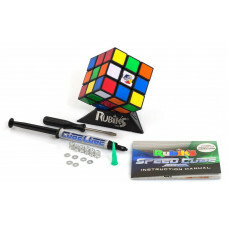 If you think you've hit your peak solution tim..
Speedcube Stickerless 3x3 in 6 colors, TPUZ-103 / This is a puzzle cube perfect for beginners and experts alike. 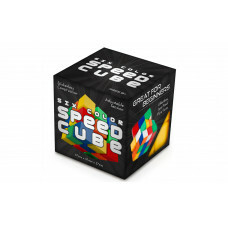 If you think you've hit your peak solution tim..
Speedcube 3x3 Rubik´s Pro, TWMG-57 / The Rubik's Speed Cube has an all new mechanism with faster movement, amazing corner cutting, and zero pops. 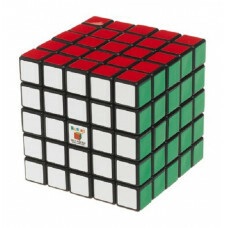 Thanks to a b..
5x5 Rubik´s Cube, TWMG-08 / Everybody loves the standard 3x3 Rubik's Cube, but see what kind of brain-teasing fun you can have with this over sized 5x5 cube. T..